Want to transform your body and regain energy? The T28 Online Challenge helps you do just that. The hardest part about any nutrition and fitness program is knowing where to start. We'll take you step-by-step from start to finish to beyond. It's like having your own personal coach, at a fraction of the cost. Have you ever started a diet and quit a diet? We all have. But the T28 Challenge is different. All the tools, resources and videos are at your fingertips. From shopping guides, recipe books, workout videos, and resource materials...we have you covered. What would it feel like to have 10x more energy and 10x less stress? You'll the steps on how to live a more scheduled and productive life so that healthy eating and fat-burning fitness is a breeze. Have you ever wondered what it would be like to look and feel 10 years younger? You're about to find out. Get ready for your friends to start noticing that you're turning back the clock on how you look and feel. Ever heard of the "Granny Posture"? That comes from chronic pain and inflammation, and what you eat and how you move can either cause it or reverse it. The T28 Challenge has the fix for that. Welcome to the T28 Online Challenge! 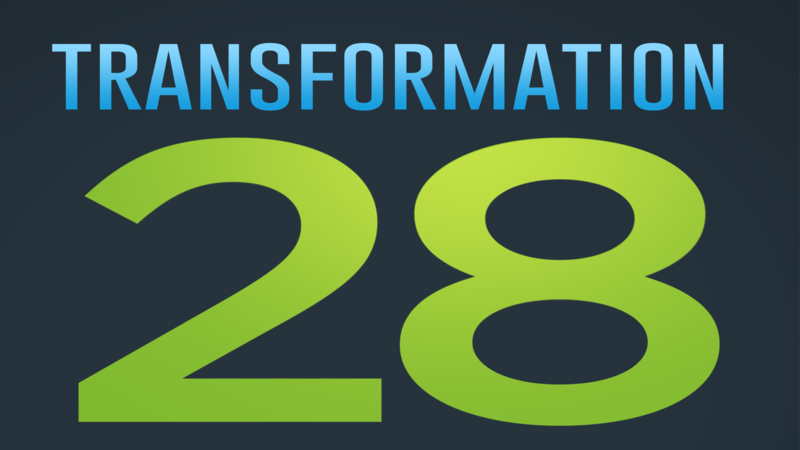 Let us know about your T28 Challenge results!